Dar Lighting Austin 2 light wall fititng features a circular design wall plate with 2 curved arms holding cuboid shaped glass shades with frosted inners. 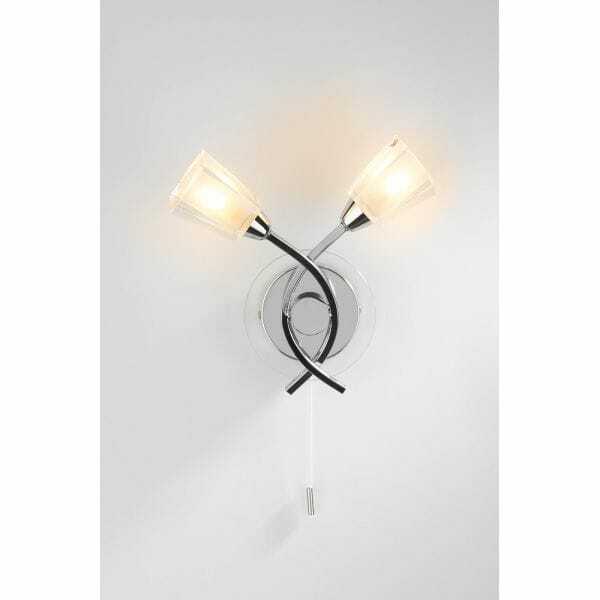 The product code for this dar wall light is AUS0950. A stylish design combining high gloss chrome and frosted glass to add a modern touch to any decor within your home and is operated by a pull cord switch. There is a 3 light fitting and 5 light fitting in this range, which can be viewed on our website.